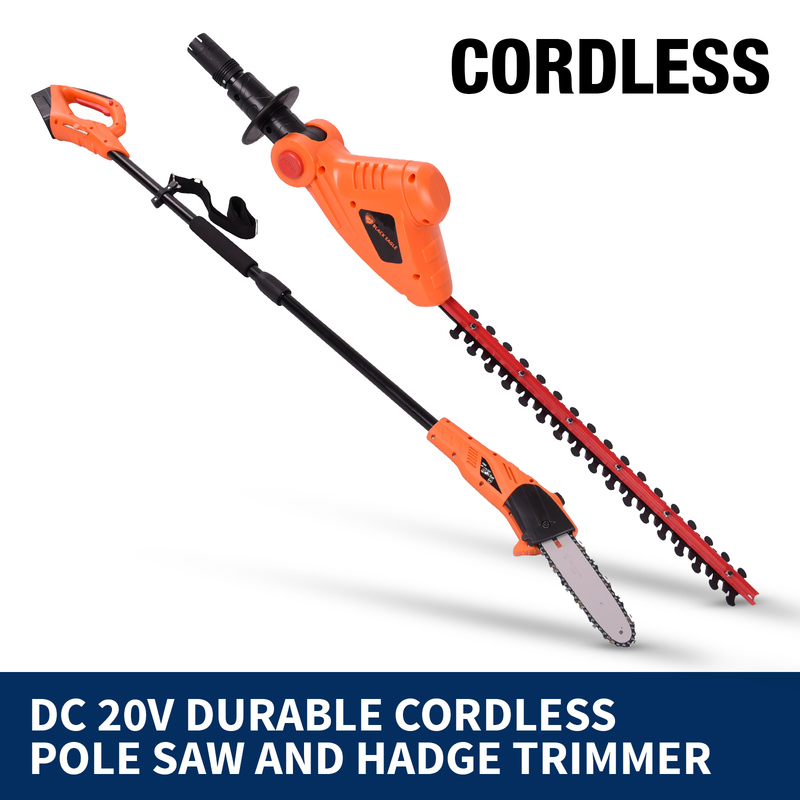 Tame your wild garden today with a dual package offering of our cordless pole saw and hedge trimmer. 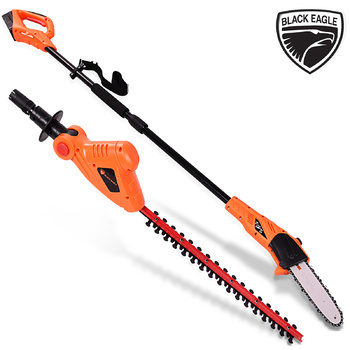 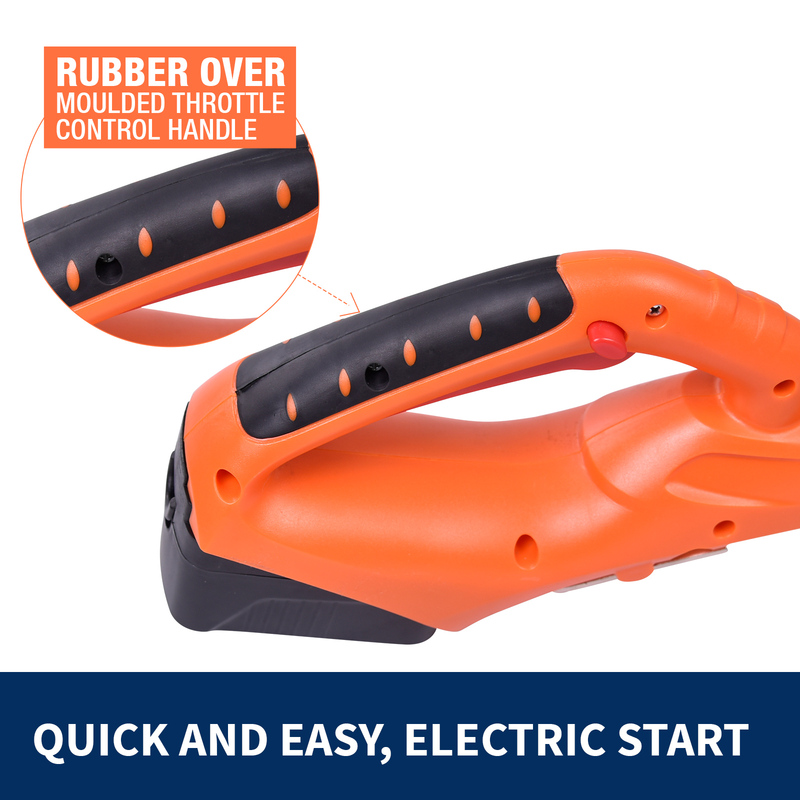 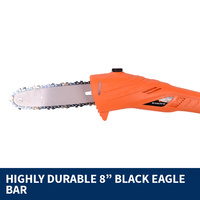 Pruning your garden has never been this easy and convenient. 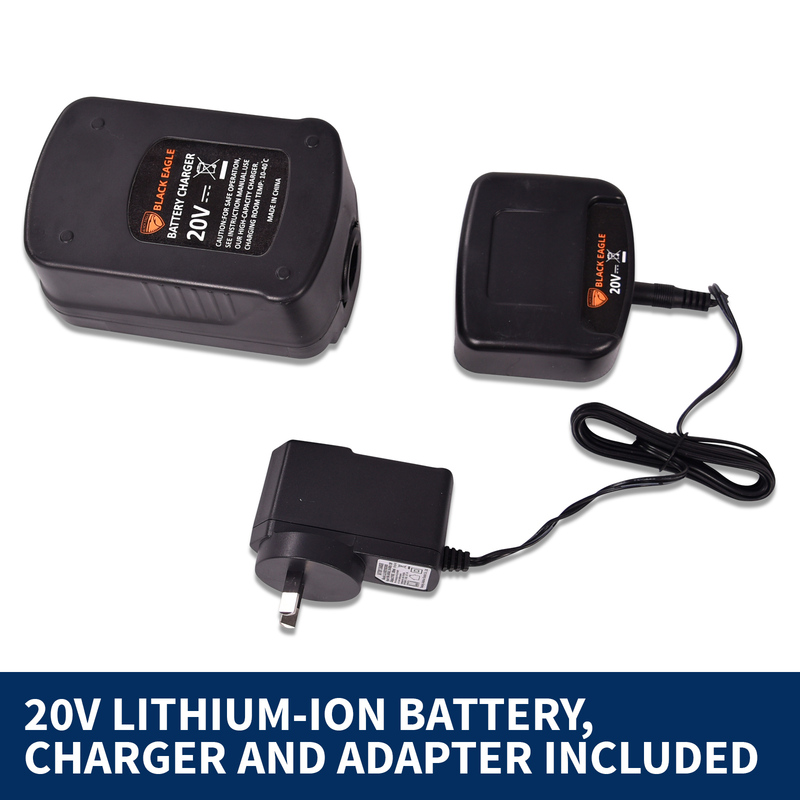 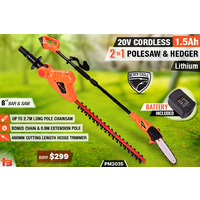 The hedge trimmer and pole saw feature a 20V, 1500Am.h Li-ion battery and ergonomic design for improved maneuverability and excellent handling. 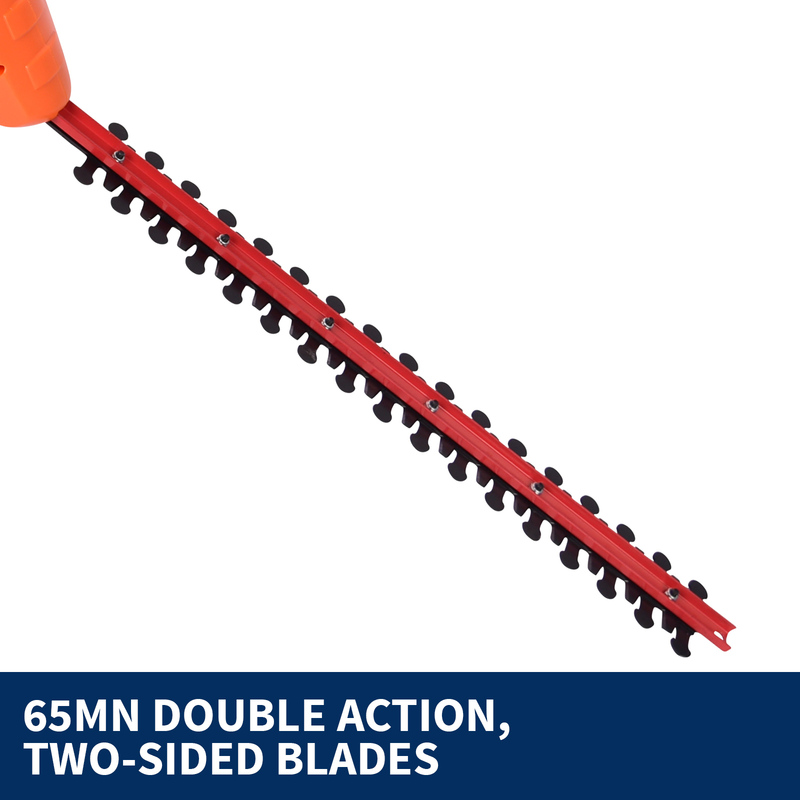 Our hedge trimmer features double action, two-sided blades made of 65Mn with a no-load speed of 1400rpm and an extra chain. 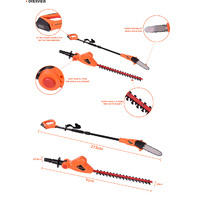 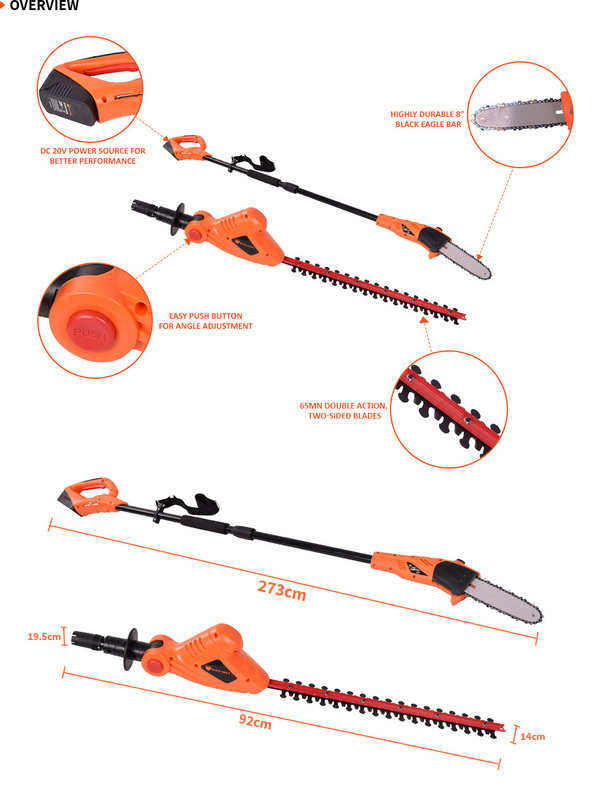 It has an impressive cutting length of 460mm, almost half a meter, to trim any size hedge to the perfection as well as an extension pole of 0.9m. 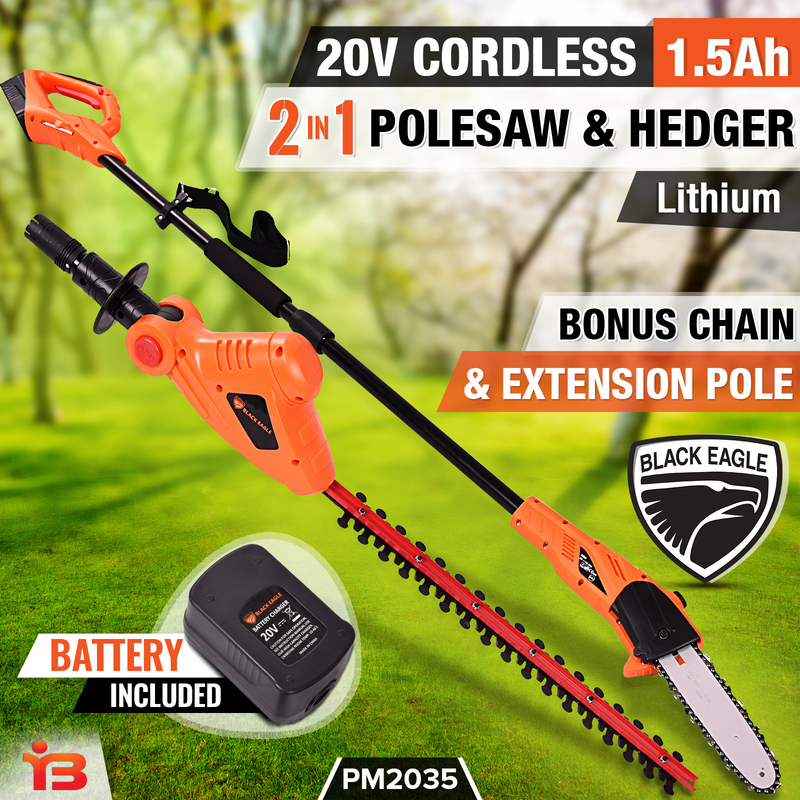 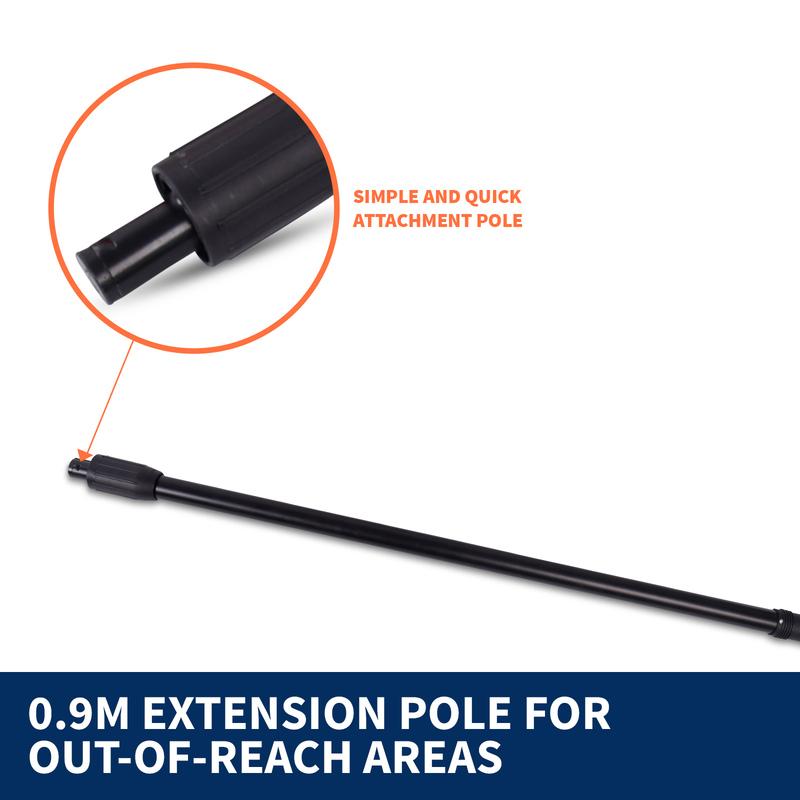 The hedge trimmer has a total length of 2.7m, but as an added bonus feature it comes complete with a 0.9m extension pole for all those high, out-of-reach areas. 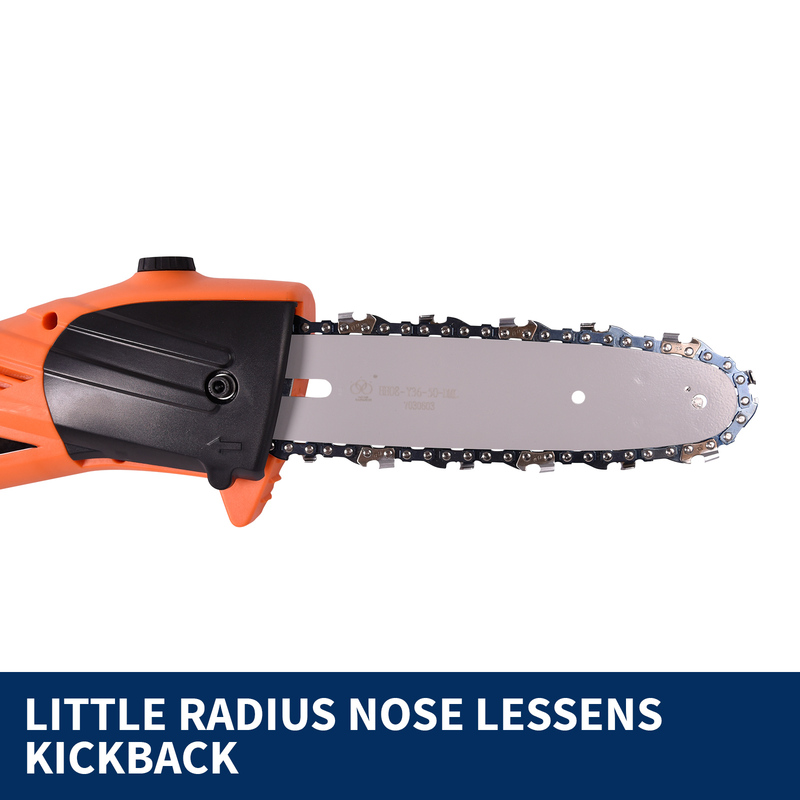 The hedge trimmer also runs for up 30 minutes. 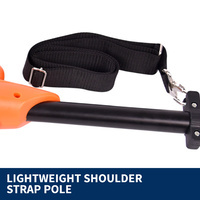 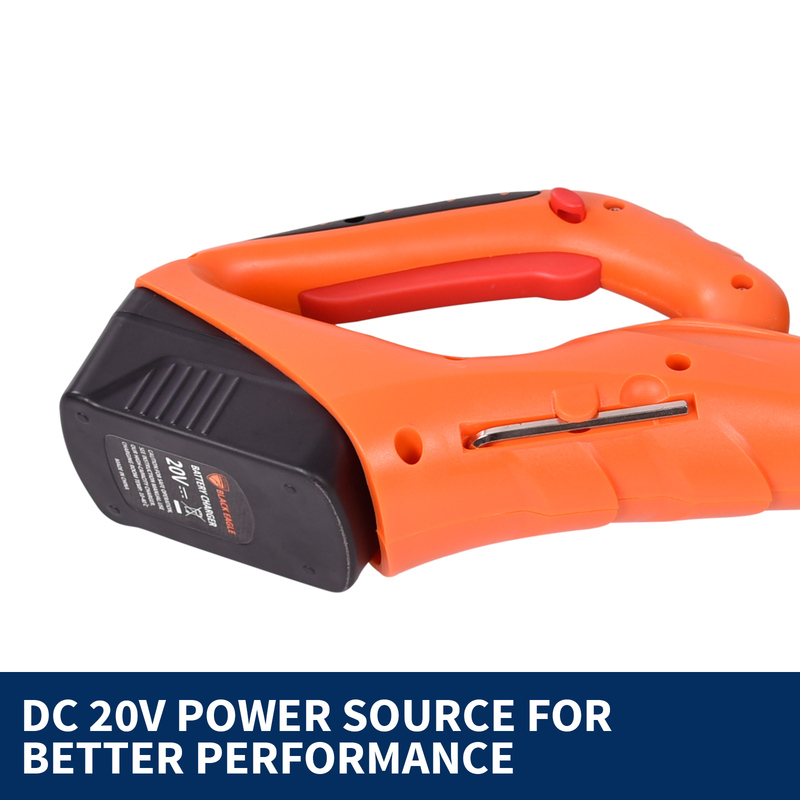 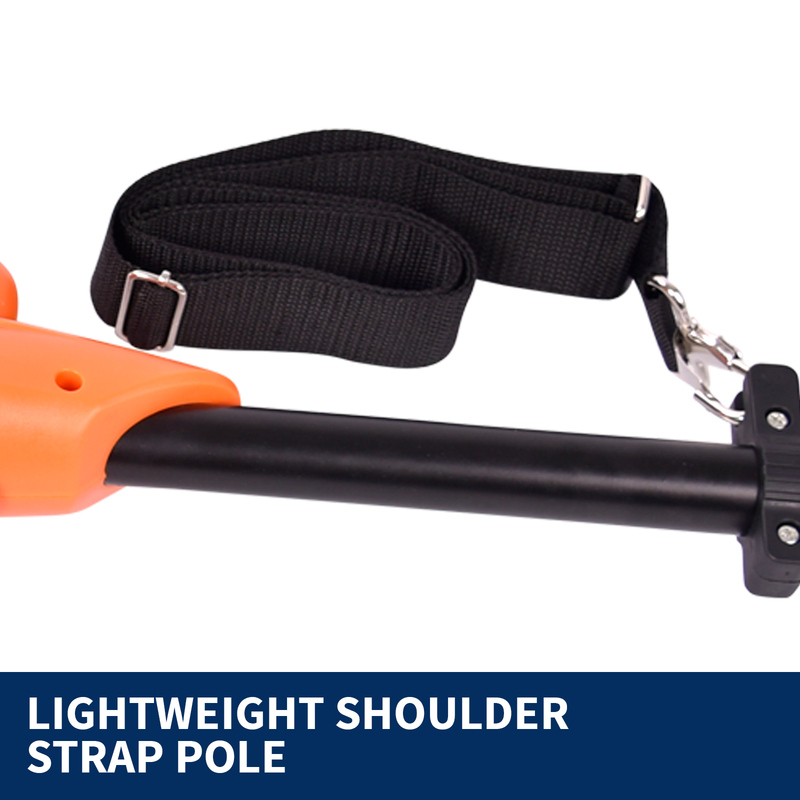 Our 20V, 1500mA.h cordless pole saw is easy to use on end with the added shoulder strap and ergonomic design. 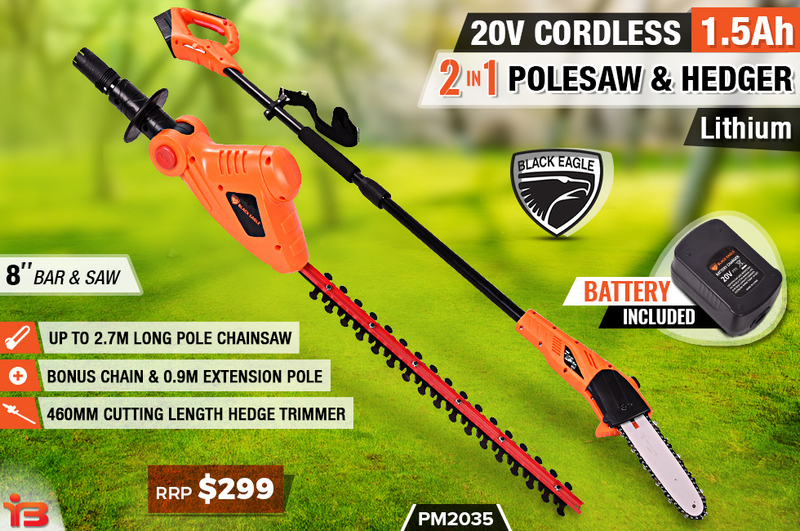 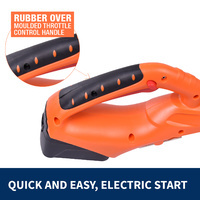 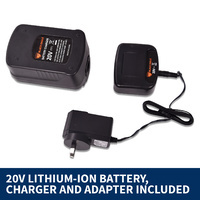 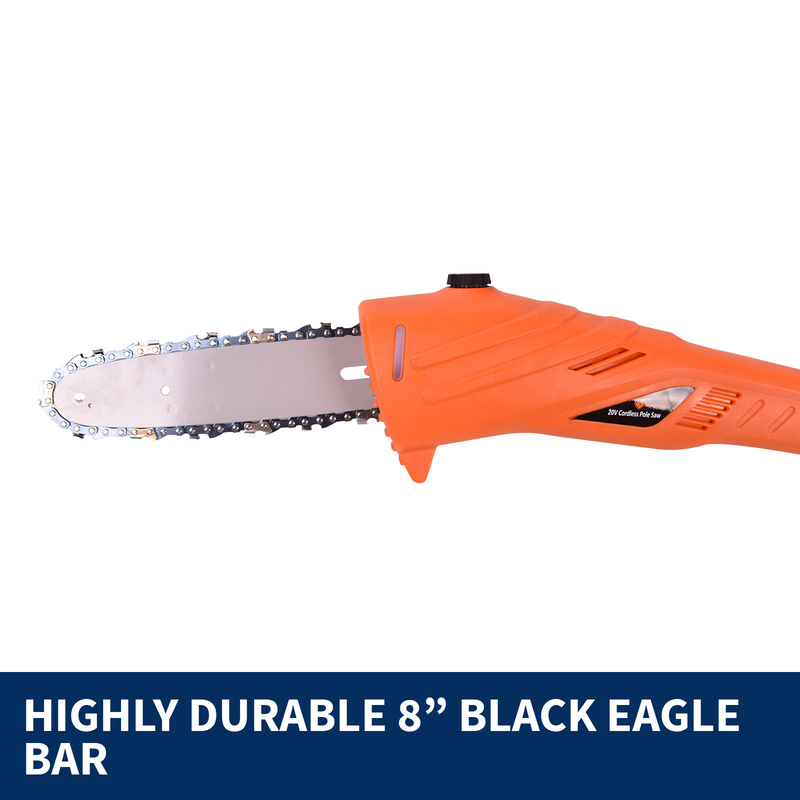 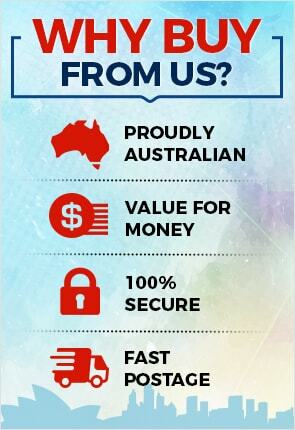 It features a cutting length of 250mm (10 inches) at a speed of up to 2.9m/s! 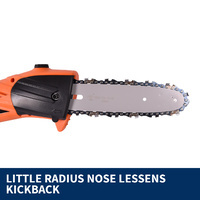 It takes 15 minutes to cut an 80mm diameter piece of wood into 30 sections! 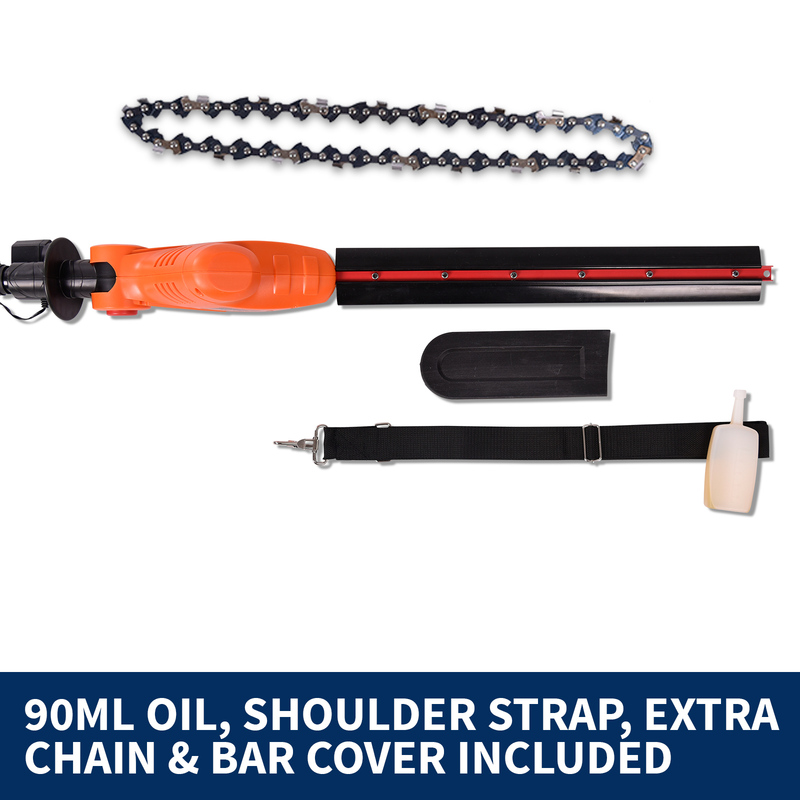 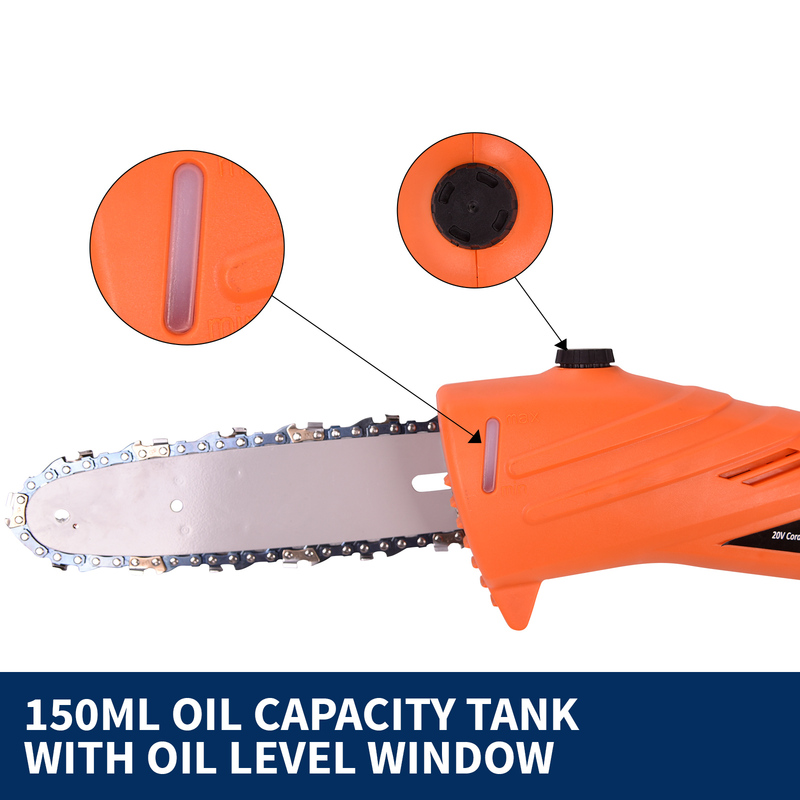 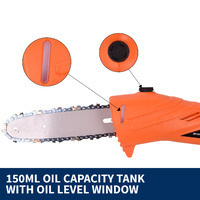 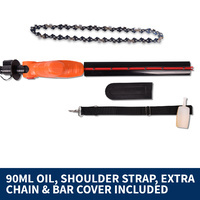 The automatic oil tank has a 150ml capacity and an oil level window so you can conveniently monitor the oil level to make sure that the chain remains well lubricated at all times. 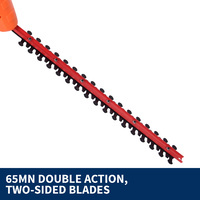 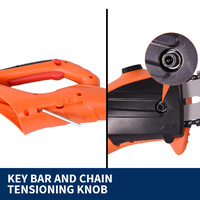 Trim your garden to perfection with this incredible dual combination of superior quality and affordability! 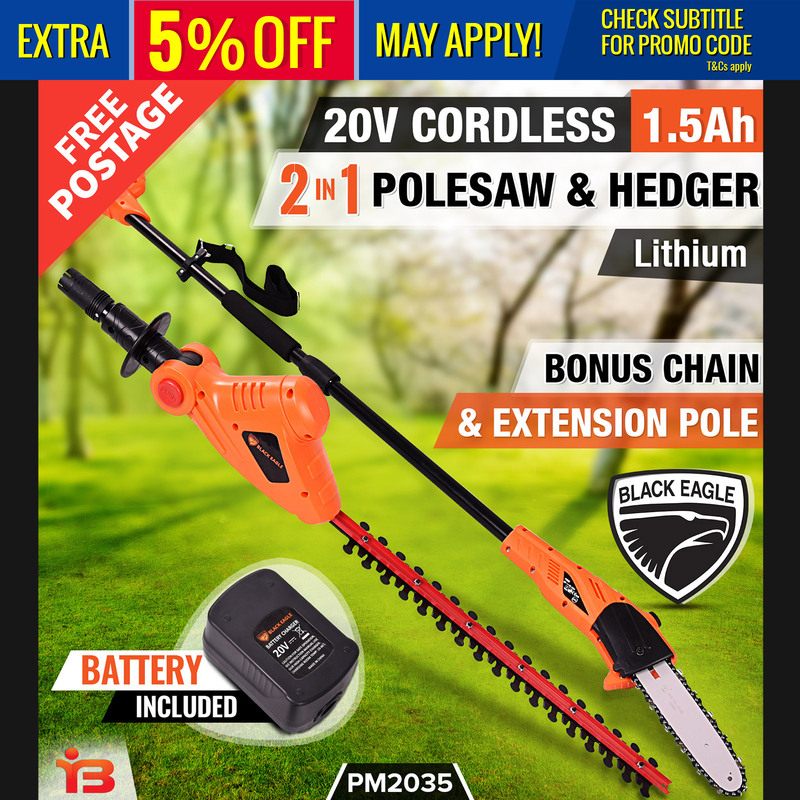 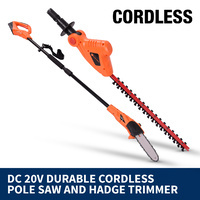 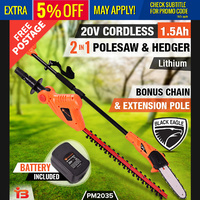 There is only a limited amount of stock available so order your cordless pole saw and hedge trimmer combo today!